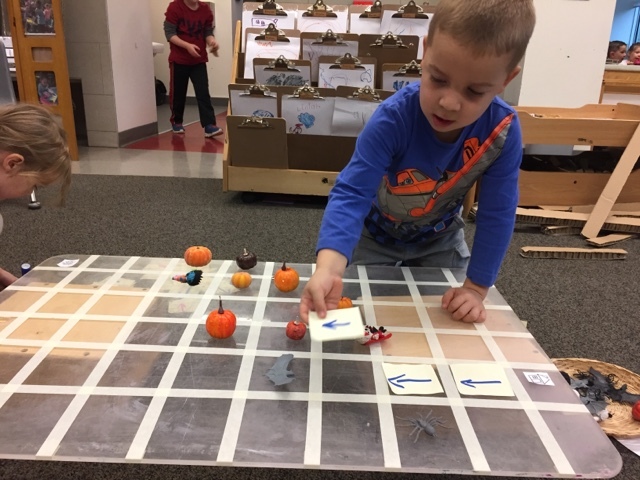 The children have been very interested in maps lately; they create them at our writing table and use them in their dramatic play, refer to printed maps during outside time as they run and ride around on the tricycles, and talk about hiding treasure in our classroom and creating maps to help others find it. They are curious about places in our school and the hallways we need to take to get there. As I reflected upon their genuine interest in location and maps, I thought it was the perfect time to introduce them to coding. Why coding? 1. Coding is basic language in the digital age. Computer programming is a language and is going to be an essential skill for many of our children to know as they grow. Our world is digital - providing children with activities that integrate communication, thinking and problem solving will be valuable for their future success. So many people are technology shy, and helping our children to be technologically literate is vital. 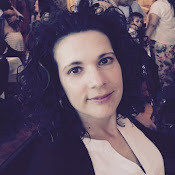 The earlier one learns and practices the basics of this type of language, the easier it will be and the more positively it will affect their developing brains. 2. Coding is math. It involves spatial reasoning and logic. 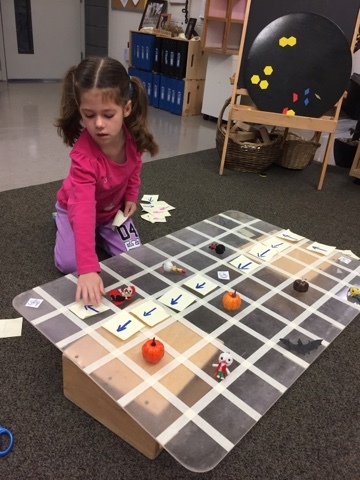 Helping children to think about direction, location and movement will strengthen their math skills. 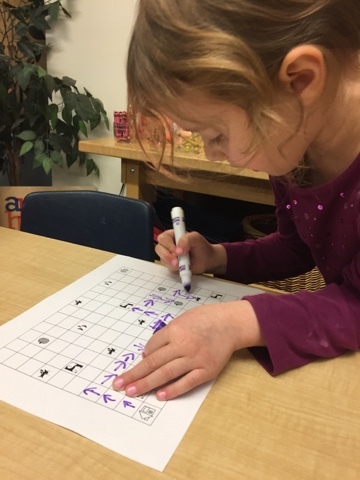 Children need to count the number of spaces being moved and indicate in which direction they are headed. 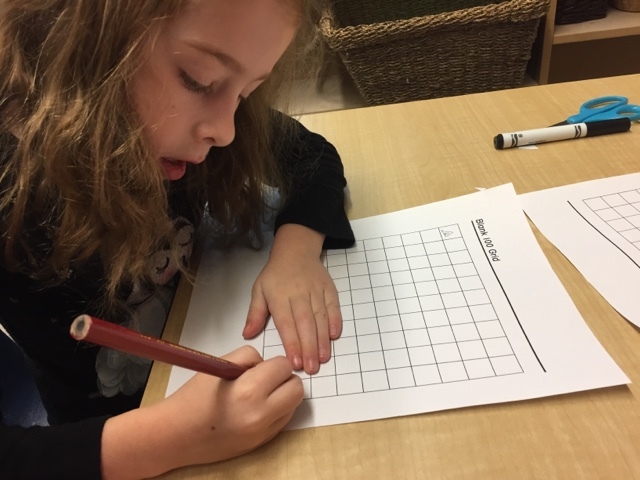 Coding integrates a number of math skills together in one experience. 3. Coding encourages problem solving. 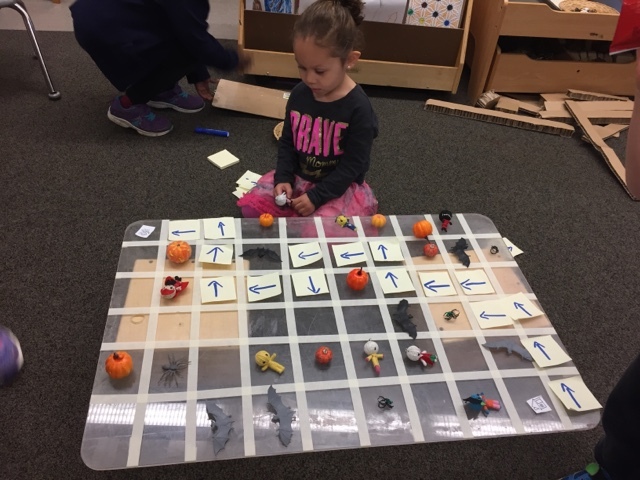 When activities like coding provide a challenge for the user, or there are multiple ways of solving the same problem, an emphasis can be placed on the process of learning and the child can consider multiple paths of arriving at a solution and choose the best or most efficient strategy. 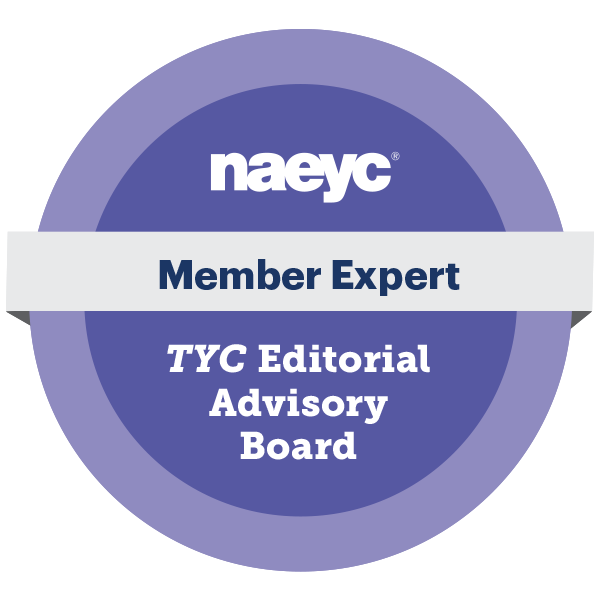 Planning ahead and being critical about the path of the activity is key for success. 4. Coding strengthens communication. When a child codes, she or he needs to indicate directions to another person (or the computer). These directions need to be as succinct as possible. 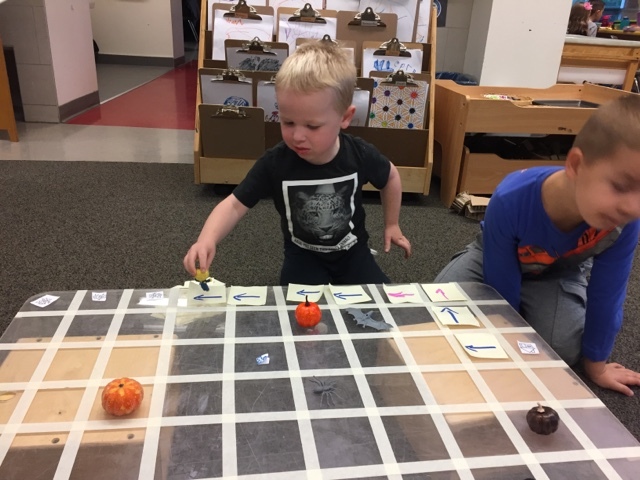 When two children are playing coding games the child receiving the directions needs to be an active listener in order to move the coding pieces in the correct way. Clear communication is essential for success. 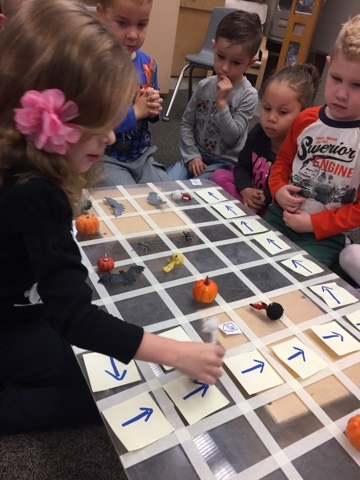 For today's coding activity I decided to use a spooky Halloween scenario to get the children to buy into the experience right from the start. 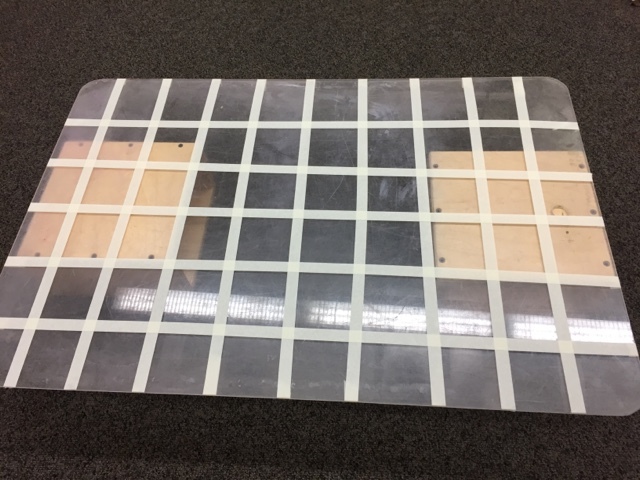 I created a simple grid using masking tape and our clear sensory bin lid. I wanted to engage the children in an experience that would help them understand the basics of coding. For this game we had four basic commands - "go right", "go left", "go up" and "go down". We had two pictures - one of a house (where the character would start) and one of candy (which is where the character needed to end). The children pretended that this was a trick-o-treater heading out on a scary Halloween night where many obstacles like bats, spiders, and other spooky creatures might be blocking the path. The ultimate goal was to move a character from the house to the candy as efficiently as possible without running into a spooky obstacle. 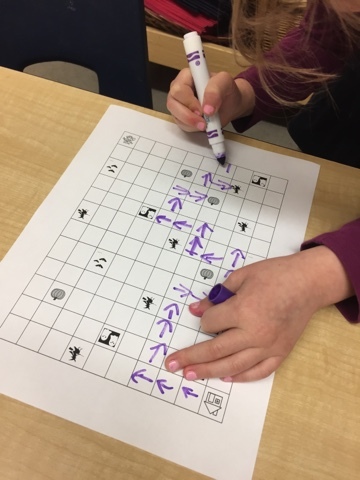 The children used sticky notes with arrows drawn on them to indicate the codes. 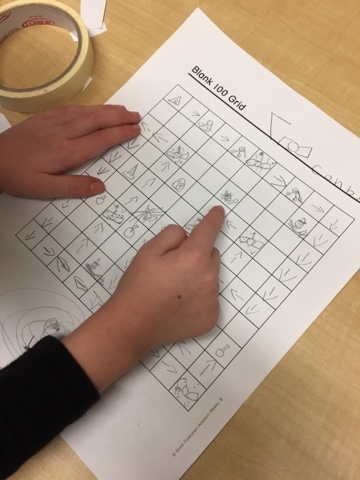 I encouraged them to verbalize their thinking and count the number of steps in their code. (e.g., "Move left 3 times, move up three times, move left one time, move up two times, move right one time"). This activity generated a great amount of interest, with many spectators watching the action or offering suggestions for more efficient ways to get to the candy faster. 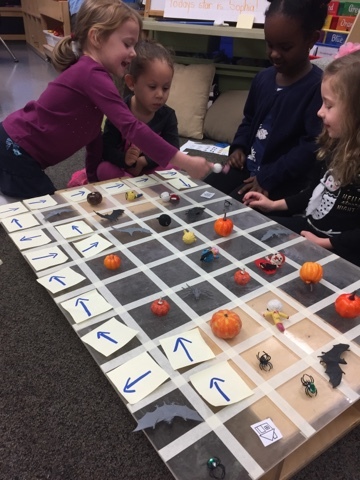 As the children became more comfortable they created more complex paths to the candy by strategically placing the obstacles in the way. They were also very attuned to the grid and noticed when too many obstacles were placed on it and wouldn't allow a clear path. 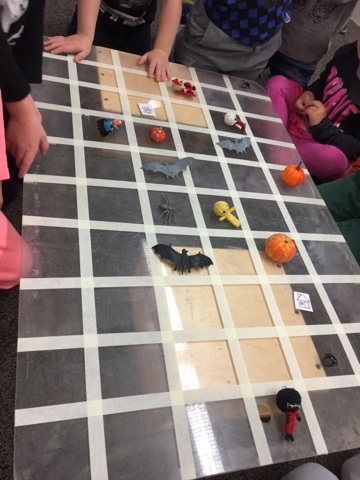 In order to offer children a different perspective, I also had paper grids prepared with the same experience (house, candy, spooky obstacles) and invited the children to plan out the code directly on the paper. Blank hundreds charts were also available for those children who wanted to draw their own Halloween obstacles and then program the code. 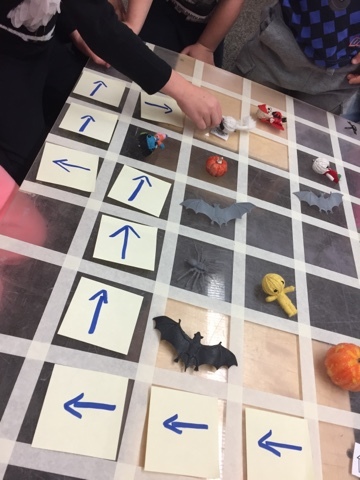 Stay tuned as we will continue with our spooky Halloween coding tomorrow and use more ideas that can be easily implemented into many scenarios to encourage children to use the basics of programming. For those who would like to print the coding pages used in this experience, please click on the following links.